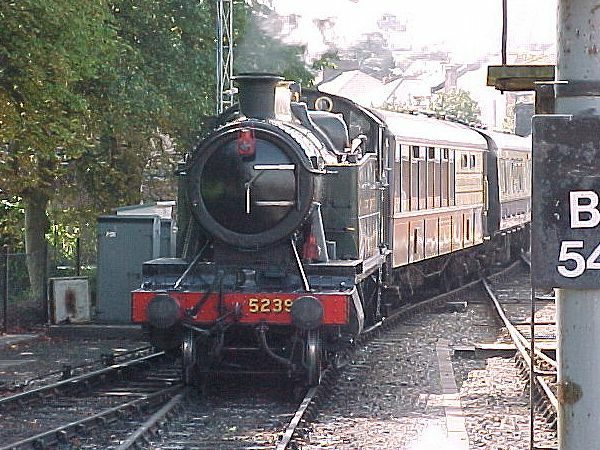 Ex-GWR 2-8-0 tank locomotive No. 5239 'Goliath' arriving at Paignton on a late morning train from Kingswear. 5239 was built by the Great Western Railway at Swindon in 1924 for heavy freight traffic in the Welsh valleys.